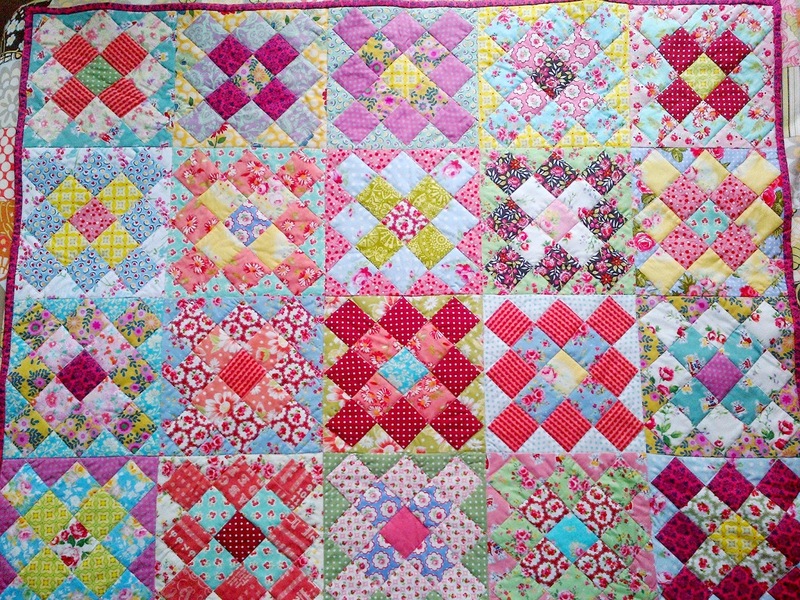 I finished piecing and machine-quilting my Tutti-Frutti baby granny square quilt. 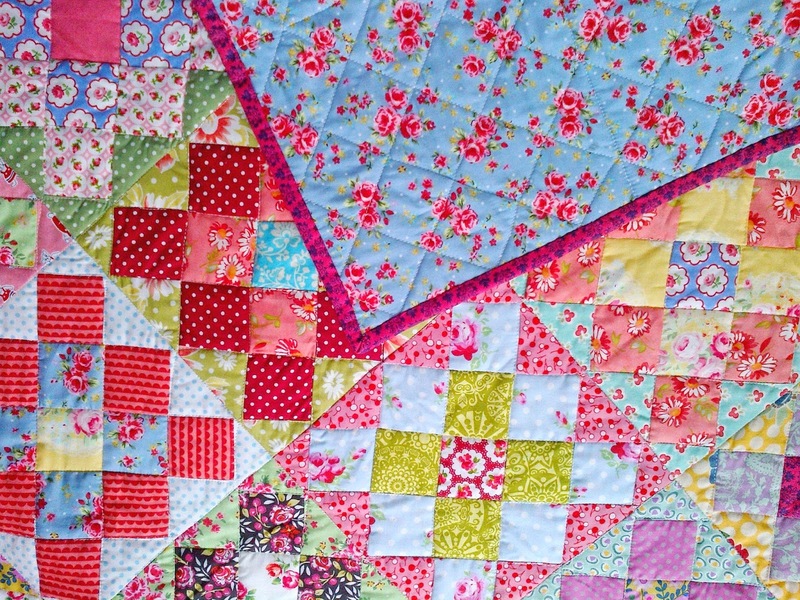 Quilting is very therapeutic when grieving. 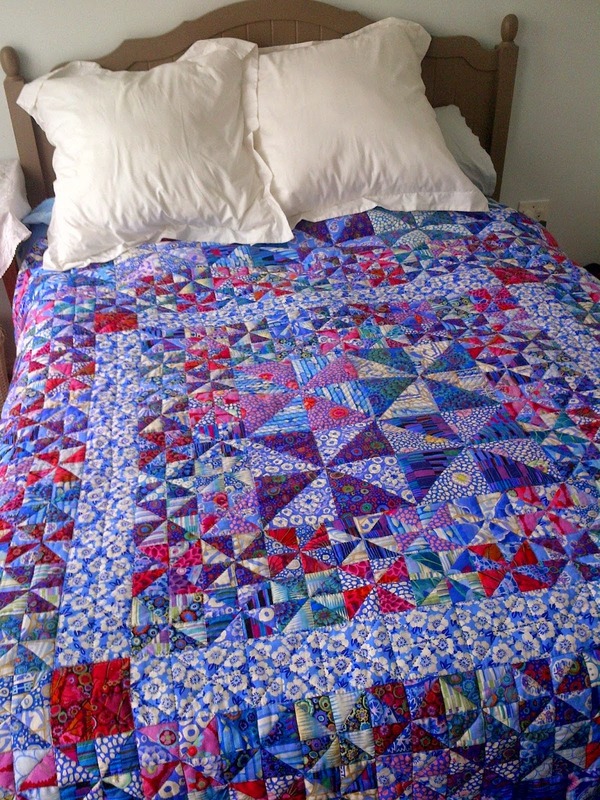 The finished quilt size is about 32 x 40 inches. 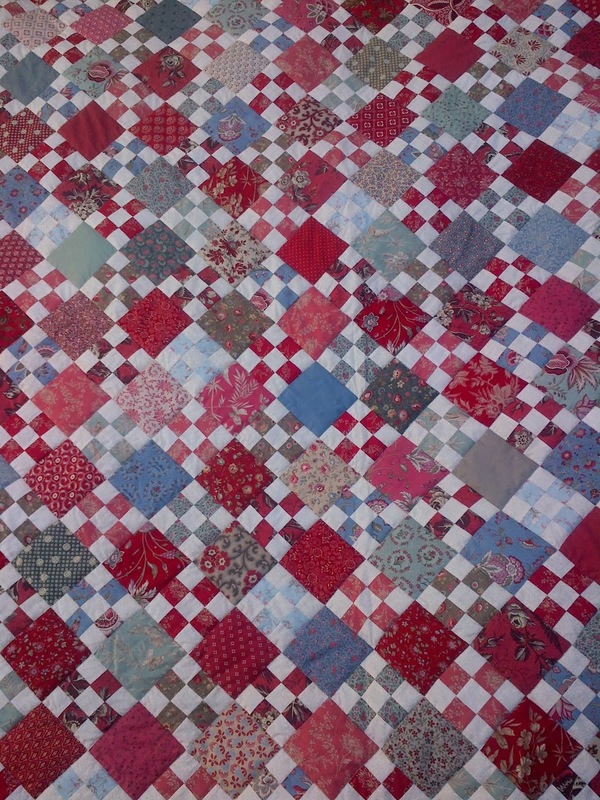 The quilt is made from 2.5 inch fabric blocks only which are trimmed to fit into a square (8.5 inch) on-point blocks. I chose red binding to bring it all together, and a pretty china-blue rose print for the backing. I love the fresh colours of your granny quilt. And both the binding and backing are perfect. 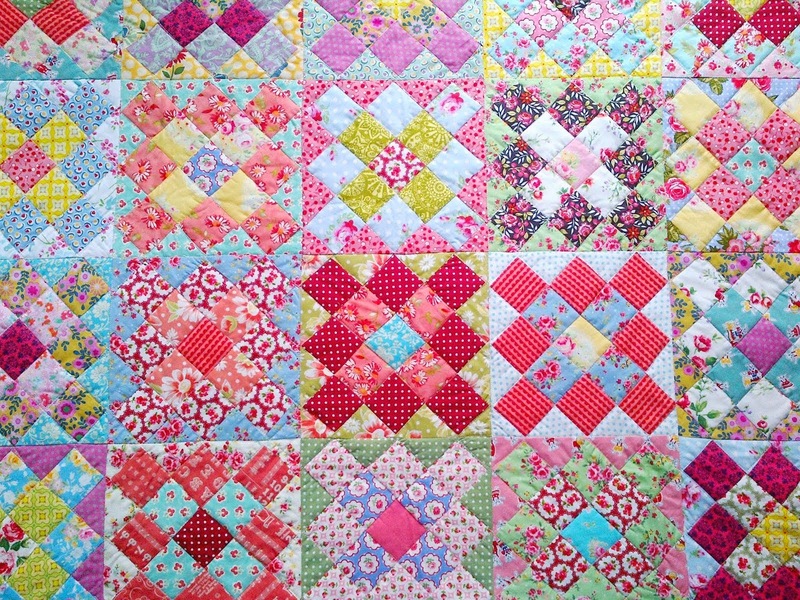 I also find that quilting soothes a troubled mind. It's beautiful, Ailsa. Thank goodness sewing is so comforting. 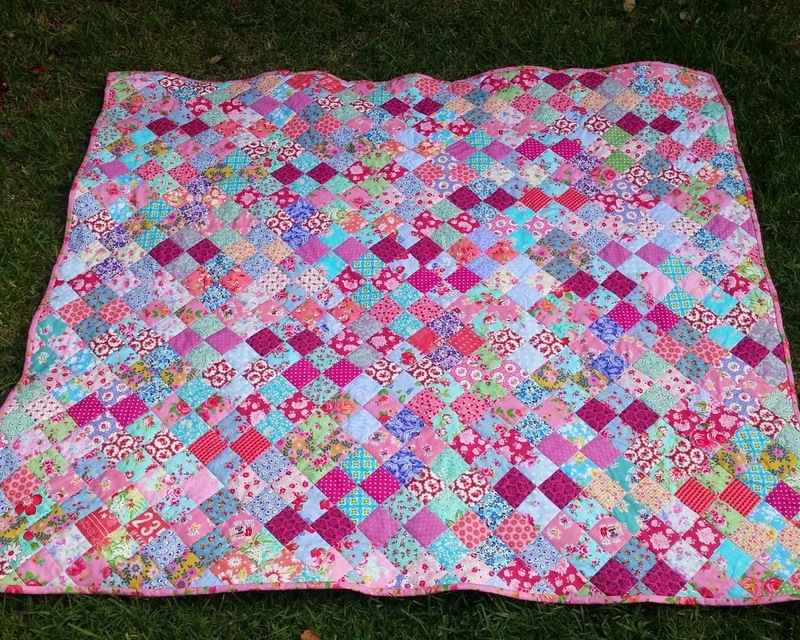 Tutti-frutti is a perfect name for this quilt. I agree with LeeAnn, so grateful for sewing in our lives! This is so lovely! 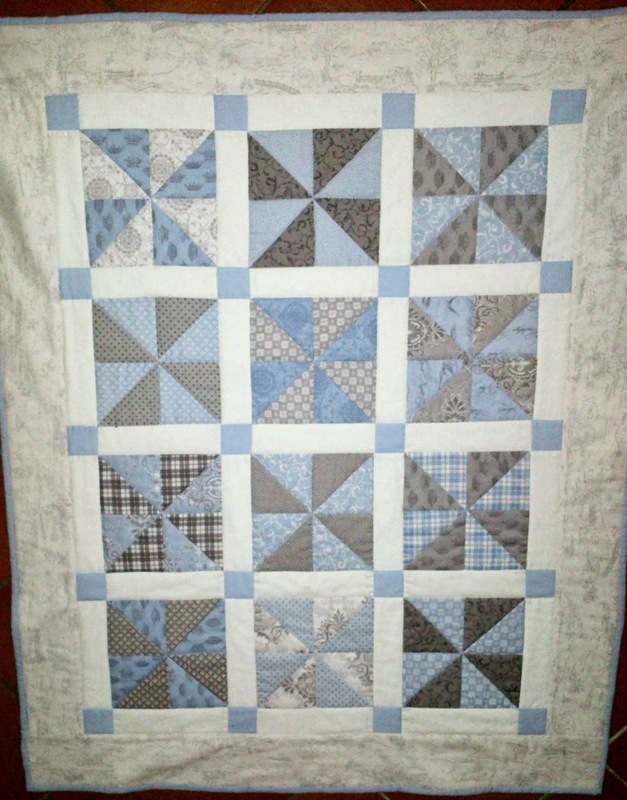 I may copy your idea for some of my own baby quilts. 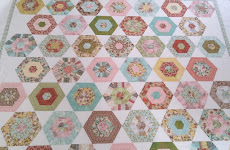 I use quilting to cope with those "down" days. It's what keeps me going when I don't feel like doing anything. Your colors are absolutely wonderful! Such fabulous fabrics! I love the back--it is a perfect complement!